This was a residential house in San Francisco that was undergoing some major construction. Stone Improvement was hired for a concrete cleaning in the final phase of construction. The concrete was pretty dirty from all the dust and painting. We started the concrete cleaning by scrubbing the concrete with a floor machine and stripper pad. This got up any paint or stubborn areas. The next step in the concrete cleaning was going over the concrete with a hard surface extractor. The combo of these two thing will usually get the concrete pretty clean. 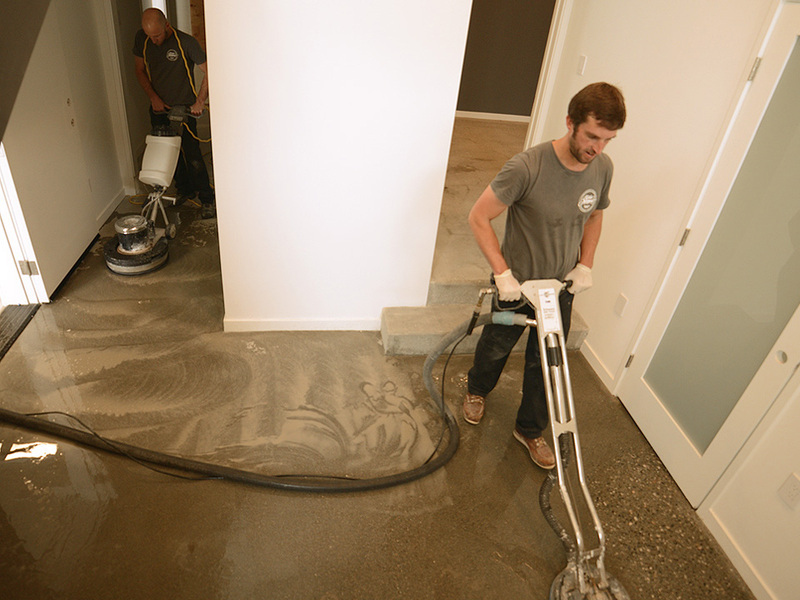 After we cleaned the concrete we let the floor completely dry before applying a penetrating sealer.